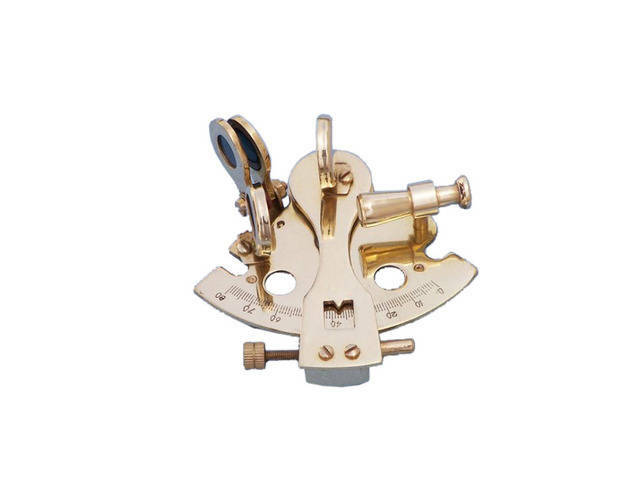 This Hampton Nautical premium 3-inch radius Brass Sextant Paperweight 3" is our finest miniature brass sextant. A beautiful desktop accessory, the sextant is a reproduction of a small lifeboat sextant used in emergencies for navigation. Despite it's small size, it is meticulously and precisely crafted. It has a gear-driven adjustment of the elevation angle and 'Hampton Nautical' engraved on the sextants limb. While this sextant is fully functional, it is NOT calibrated nor intended for navigation. This sextant is available in a beautiful polished brass finish. Credited with the invention of the octant in 1731, John Hadley had crafted a tool that would change the world of navigation. Developed at the same time, the octant and antique sextant were similar in many ways, though the marine sextant would eventually triumph as the more utilitarian device. By the end of the 1700s the antique sextant was being crafted from solid brass, which allowed for smaller and more durable devices, though it was the 1777 invention of the perfect dividing engine that truly allowed for their vast impact. 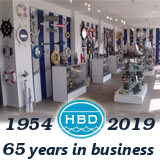 Invented by Jesse Ramsden the engine allowed for nautical instruments to be engraved quickly, accurately, and with little cost, making smaller and more affordable instruments available to the common sailor. While this revolution in manufacturing took place, James Cook was sailing across the South Pacific using sextant navigation to create maps, visit New Zealand, and find the country that would become Australia. Not long after, the explorers Lewis and Clark utilized the antique sextant in their travels across America to the Pacific Coast. As Cook used his tools to create maps of the sea, Lewis and Clark created the first detailed maps of America. For the next two centuries, across the western world, the sextant was an essential tool in navigating on land and at sea.